Are you ready for some zombie slaying? If so you’ve come to the right place. Dead Rising 3 has a whole lot of zombies to kill, so much that I think when I was done my kill counter was around 18k-ish. So you can see, I love killing me some zombies. I’ll still give this game a go every once in a while to kill some time and run around and go nuts. 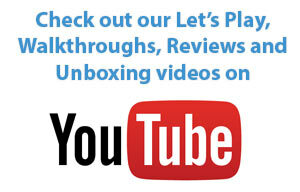 There is a lot of variety here and high replay value. The best part is there could be something here for anybody. Let’s run to graphics. 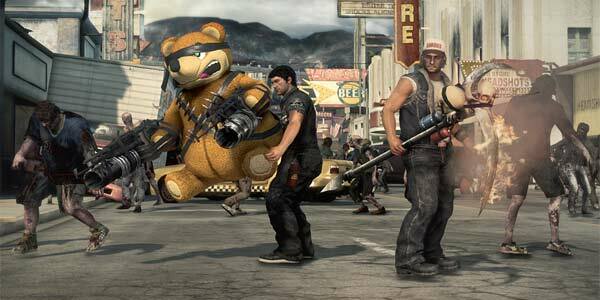 Dead Rising 3 is not the prettiest game even though this is reviewed on a next gen console. 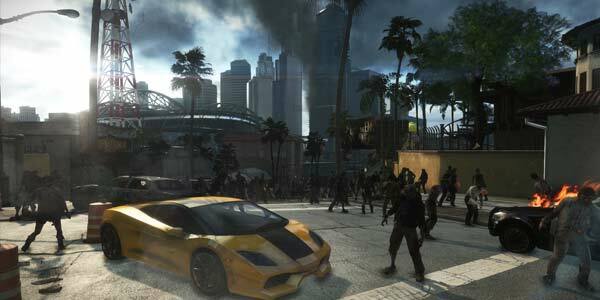 Yep, as an Xbox One launch title, the game itself is rendered at an upscaled 720p resolution. The textures aren’t the most amazing and it does occasionally suffer from stuttering frame-rates, but it doesn’t take away from the gameplay. I just wish it was given that extra polish to make it officially a next gen title. Now when it comes to rendering a crap load of zombies on screen this is where the game wins. All the zombies are so varied that it doesn’t look like same model repeated a dozen or so times so that’s a huge bonus. Also, it’s fun decapitating or slicing and dicing your zombies up. Even the animation quality on how they react is top notch and highly entertaining. For someone not into zombie games I guess that last statement probably sounds sadistic but if you are a zombie loving gamer that should not have phased you. 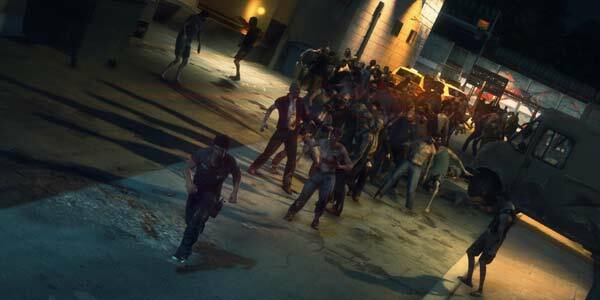 In terms of gameplay and controls Dead Rising 3 is pretty basic and easy to pick up and go. You have a combination of hard and light attacks, and it comes along with amazing over exaggerated animations that all have different effects. I believe there are over 200-300 weapons within this title. The best part is that they have collectable blueprints within the game that are really useful. You use these recipes to create amazing and goofy yet extremely badass weaponry to take down zombies. For those fellow nerds out there yes you can turn your flashlight into a full-fledged lightsaber, let the force help you destroy zombies. There are also a decent amount of options for character upgrades, it’s pretty extensive and it provides a substantial effect on your character which is great. The sound goes well with the gameplay with zombies moaning and dying and all that great eerie music to build up the effect of suspense during story time. The story is one of a zombie cliché, it borders the line of goofy zombie movie parody and real life. One minute your lead character, which is named Nick Ramos, is contemplating deep thoughts of taking human life and in the next he could be dressed in a crazy outfit destroying hordes of zombies. The game itself is made to be fun and take a light side of storytelling, it is pretty entertaining. Every character has their own motivation and their own color commentary on everything, making a great dynamic of the things happening. The character development is what gets you attached to the story and you’ll want to see your fellow supporting actors survive or you’ll feel devastated if you see them die. So that means do your best to keep your partners alive. AI is pretty good, if you run from a fight your compadres usually follow behind you. One minor glitch that I have a complaint about is your team members can often get annoying by blocking doors, getting in the way of picking up items and standing next to zombies you’d like to kill. Other than that they are fun to group with. 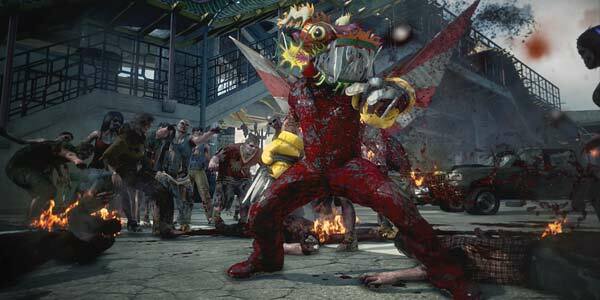 It zombie slaying is your cup of tea you will greatly enjoy Dead Rising 3 and I highly recommend it. The graphics are not the best for an Xbox One title but what it lacks in graphics it makes up with in excellent gameplay and story, let’s not forgot co-op and multiplayer so there is a high level of replay value. So grab a drink, goggles and some friends and prepare to get your zombie on.